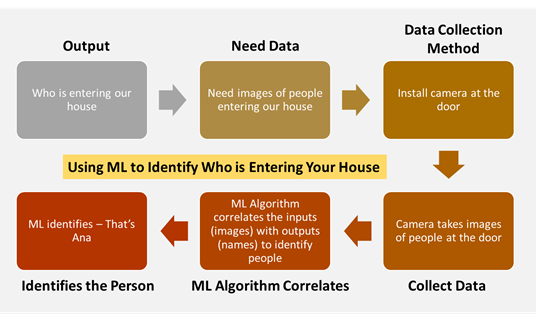 The present-day definition of artificial intelligence (or AI) is “the study and design of intelligent agents” where an intelligent agent is a system/machine that perceives its environment and takes actions which maximizes its chances of success. Deep learning: Deep learning is a type of machine learning that can process a wider range of data resources, requires less data preprocessing by humans, and can often produce more accurate results than traditional machine-learning approaches. Neural Network: It is a type of machine learning that is made up of interconnected units (like neurons) that processes information by responding to external inputs, relaying information between each unit. The process requires multiple passes at the data to find connections and derive meaning from undefined data. Deep is a technical term. It refers to the number of layers in a neural network. Multiple hidden layers allow deep neural networks to learn features of the data in a so-called feature hierarchy. Deep artificial neural networks are a set of algorithms that have set new records in accuracy for many important problems, such as image recognition, sound recognition, recommender systems, etc. For example, deep learning is part of DeepMind’s well-known AlphaGo algorithm, which beat the former world champion Lee Sedol at Go in early 2016, and the current world champion Ke Jie in early 2017. Natural language processing (NLP) is the ability of computers to analyze, understand and generate human language. The next stage of NLP is natural language interaction, which allows humans to communicate with computers using everyday language to perform tasks. It has several benefits that makes it so essential for organizations and human-well-being. The human AI partnership offers many opportunities. Automates repetitive tasks: AI performs frequent, high-volume, computerized tasks reliably and without fatigue. For this type of automation, human intervention is still essential to set up the system and ask the right questions. Typically for such tasks, RPA and Intelligent automation is used. Makes existing products and services intelligent: Products and Services we use will be improved with AI capabilities, much like Siri was added as a feature to a new generation of Apple products. Automation, conversational platforms such as Chatbots, bots and smart machines can be combined with large amounts of data to improve many technologies at home and in the workplace, from security intelligence to investment analysis. Progressive learning algorithms: The algorithm becomes a classifier or a predictor. Algorithm can teach itself to play chess, recommend product and services. Models adapt with new data feed. Back propagation is an AI technique that allows the model to adjust, through training and added data, when the first answer is not quite right. Power to analyze deeper data: Building a fraud detection system with several hidden layers was almost impossible a few years ago. All that has changed with incredible computing power and big data. The more data we feed to models, the more accurate they become. Accuracy: The more data we feed to models, the more accurate they become. In the medical field, AI techniques from deep learning, image classification and object recognition can now be used to find cancer on MRIs with the same accuracy as highly trained radiologists. Data becomes intellectual property: With self-learning algorithms, the data itself can become intellectual property. The answers are in the data; you have to apply AI to get them out. With the ever-growing importance of Big Data, it can create a competitive advantage. The effectiveness of AI has been transformed in recent years due to the development of new algorithms, greater availability of Big Data, better machines to train them and cloud-based services to catalyze their adoption among developers. The benefits of AI and ML will be numerous and significant. From autonomous vehicles to new methods of human-computer interaction and enabling more capable and efficient day-to-day business processes and consumer services. In summary, the goal of AI is to provide software that can reason on input and explain on output. AI will provide human-like interactions with software and offer decision support for specific tasks, but it’s not a replacement for humans — and won’t be anytime soon.